I haven’t gone to a life drawing sessions in eons, but there is no more relaxing way to spend a few hours. When you are drawing the model, all extraneous thoughts disappear from your head and you are totally in the moment. At least for me. Sarah was a great model, holding this pose for four hours (with breaks). In that time I painted her twice, but this one turned out better because of the lighting. Painted on a quarter sheet of BFK Rives, which I think is a printmaking paper. It’s very soft but quite wonderful to work on. I am doing a lot of figurative drawing and painting also, so I feel qualified to tell you this is really wonderful…. I appreciate that Ross. I think I will try to get back there to draw from life as often as possible. There really is nothing like it. 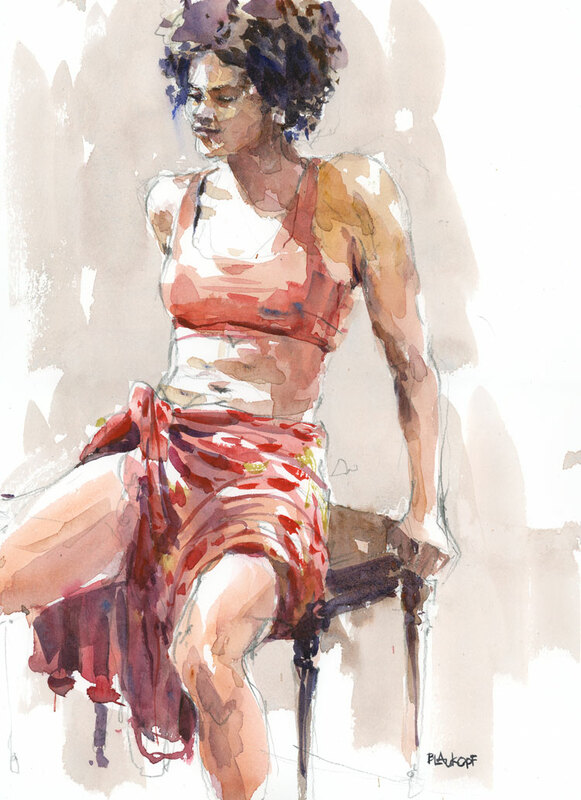 Gorgeous work from a live model – wow, you inspire me to get back to life drawing sessions! Get back there Mary. It’s so great to draw from the model. I decided to also try life drawing again . . . this is lovely! I’ve decided to go back more often as well. Thanks! I’m impressed… the painting is soooo good! This is a much more sensible thing to be doing when it is cold outside. Thanks Ross. I have to agree. I love my car studio but this place was much warmer and the company was good. And the battery doesn’t go flat. You inspire me every day, Shari!! Thanks Susan. It’s great to hear from you. Hope the Florida winter is good for you. Wow really impressive Shari ! Oh she must have adored it! There were some amazingly talented artists in the room. She took lots of photos of the work. Shari, It was wondeful to have you join our Live Model at Georges-Vanier, (Atelier 4/8 I named it because we do some 4 hour sessions and sometimes 8 hour ones). I was especially pleased to finally meet you in person and see you in action as I’ve been for quite some time a fervent follower and admirer of your blog and other production you publish. Your interpretation of Sarah turned out splendid, she’s beaming with flowing energy (she’s a dancer). Hope to see you again. Btw the long pose at UQAM I spoke to you about will be held on Tuesdays 6-9 p.m. and not on Wednesdays as initially planed. Hi Dominique. It was great to meet you and find the sessions. Sarah was a wonderful model and I had a feeling she was a dancer by the way she posed. I am really glad to have found these sessions and I will see you again soon. Thanks for adding me to the mailing list. Please note that the long pose sessions I mentioned at UQAM are no longer on Wednesdays but on Tuesdays 6-9 p.m., Judith Jasmin Building, 7th floor, # J7130. Really nice. Our models think they have been tortured if they go beyond 25 minutes..ha! She IS a good model! Well she did take breaks every 20 minutes or so but she is a dancer so she can hold the pose for a long time. Thanks so much. I hope to do more life drawing this week. If it’s decent I’ll post it again. As usually you handle so good your colours! They ate so neat. And now your figures, really top! I agree, Shari. I am only just back to regular(ish) figure drawing from a model for a few weeks now after a long break and it is really wonderful. It’s not so much that drawing posed figures will be the focus of my work in the near future, but it’s just that when I am drawing the figure fluidly, I am much more confident in all I draw. I agree Suhita. It’s as if drawing the figure is a necessity to keep everything else moving smoothly. I hadn’t thought of it like that but it’s so true. Can you show us a picture of your traveling art supplies? I will do a post about that soon. Thanks so much Tony. Do you go to life drawing too? I was directed to your life drawings by a mutual friend. They’re wonderful. I hope to be doing more of this too. I found a place right near my home and it takes place on an afternoon when I am free. So I hope to be posting more of them. I have started going to a life drawing studio for all the reasons you share and I am using my wc, too. That’s great news Mike. 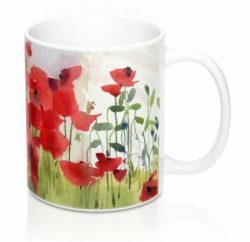 There’s nothing like it and so glad you are trying it out in watercolour. It’s not easy but it’s worth the effort, I’m sure. Sarah is an unexpected and lovely surprise! I am inspired by the many variations in skin tone you have used in such an effective way. Thanks for sharing your work and your thoughts. I’m so glad I surprised you Alberta. I’m just working out the skin tone thing but I will try some more variations on this. I had something similar in mind of a woman I met at the beach, but I very much doubt it would turn out as beautifully as yours! Thanks so much Isabel. It was tempting when I was in Costa Rica to ask people on the beach to pose for me, but I am always reluctant to do that. I had to settle for quick sketches instead.